Who writes the Disney history you love to read? A select group, immersed in the history and culture of Disney, from films to theme parks. Now these authors reveal their inspirations, their methods, and their secrets. Why just read Disney history when you can write it yourself! 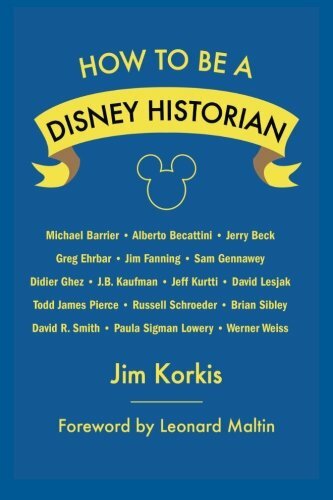 In this engaging how-to anthology, Jim Korkis documents the history of Disney history, with help from Disney's Chief Archivist Emeritus David R. Smith, and then gives practical advice for conducting interviews with Disney notables; researching, organizing, and using information; and handling the media. SHARPEN YOUR PENCILS AND BECOME PART OF DISNEY HISTORY - BY WRITING IT!